Frozen in time for decades, the stethoscope, inhaler, and pulse oximeter are finally getting an upgrade. Entrepreneurs from around the globe are creating new and improved tools with increased functionality and 21st century design to transform patient care. 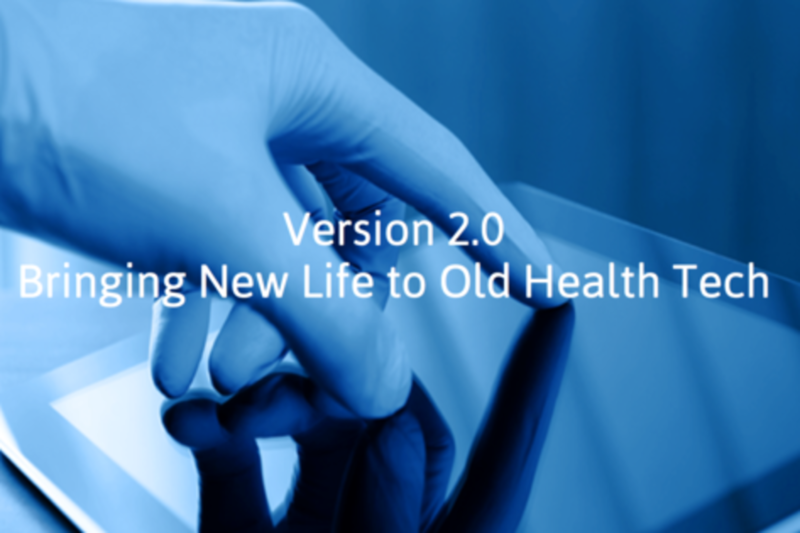 These innovators will discuss why doctors and patients need to adopt version 2.0 of traditional tools and what the future of the space will look like. Dr. A. David Soleymani received his undergraduate degree from Indiana University in Bloomington. He then completed his medical education at Indiana University School of Medicine, followed by residency training at The Ohio State University Medical Center. During his dermatology residency, he trained in medical, surgical, and cosmetic dermatology, as well as Mohs surgery. After becoming board certified in Dermatology, Dr. Soleymani practiced and was Assistant Clinical Professor in Dermatology at Northwestern University in downtown Chicago for 10 years. His interests include medical, surgical, and cosmetic dermatology. In order to stay on the cutting edge of dermatology, Dr. Soleymani regularly attends advanced training sessions in new and emerging techniques in dermatology and communicates daily with dermatology colleagues around the world. In 2014, Dr. Soleymani developed Dermio, a mobile enabled tele-dermatology platform & provider network that can be accessed from any mobile device anytime, anywhere. Unlike traditional office visits, Dermio offers high quality, low-cost care that is available anytime and anywhere. Dermio sells its medical dermatology services through a mobile device enabled web platform to third party payers/insurers and directly to consumers. Dr. Joe Habboushe is Assistant Professor of Emergency Medicine at NYU Langone Medical Center. In addition to being Co-Founder and CEO of Stethos, he is one of two physicians who co-founded the popular medical website MDCalc.com, used by 40+% of US physicians monthly. Dr. Habboushe is the creator of EMRA's Basics of Emergency Medicine guide series, and formerly Medical Advisor to the healthcare fund Caxton Advantage Venture Partners. Dr. Habboushe received his MD from Cornell University, his MBA in healthcare finance from Columbia University, and his BS in applied mathematics from Yale University. Dr. Manice affirms that Cohero Health grew out of her career in academic clinical medicine, out of her passion to build the solution rather spend a lifetime studying the problem. She has a PhD in Clinical and Translational Research from Mount Sinai specializing in pulmonary medicine and biostatistics. Dr. Manice also has a Masters in Public Health, and has years of clinical research and managerial experience at health systems including Mount Sinai. Dr. Manice has developed important relationships at leading academic medical centers and previous work at the National Cancer Institute and in pharmaceutical risk management (both in Bethesda, MD) established lasting relationships with government and pharmaceutical organizations. Sandeep Pulim, MD is the Chief Medical Information Officer at @PointofCare, Advisor at HealtXL, and Venture partner/Co-Founder of LiftOff Health. He most recently co-founded Health Recovery Solutions, a venture backed startup which created a unique mobile platform to engage patients and their families and connect them with providers in hospitals to reduce CHF readmissions. Sandeep is a mentor at the XLerate Health incubator and an advisor at the Blueprint Health accelerator. He previously served as Senior Medical Editor at MDLinx, an award-winning, medical information tool that aggregated information from 1,200 medical journal sources to keep healthcare professionals up to date. He has an intimate understanding of how new technologies, mobile apps, and social media are changing the healthcare landscape for patients, providers, payers, and pharma.